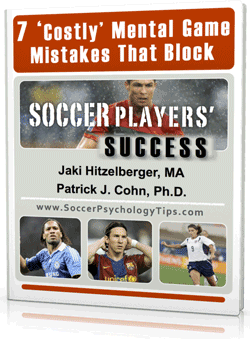 Do difficult circumstances negatively affect your performance on the soccer field? Is it hard for you to overcome obstacles and focus on your game? Defeatism affects many athletes who focus on their struggles instead of their potential. 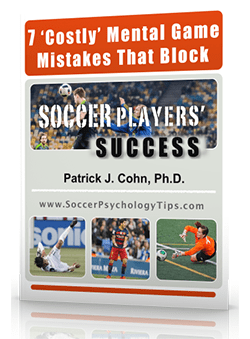 Have you ever approached a soccer game or tournament where you focused on negative circumstances (playing a more talented team, being demoted on the depth chart, a volatile coach) and just resigned yourself to losing? Your will to win and desire to overcome obstacles becomes severely wounded and it becomes difficult to focus on the task at hand. Resiliency is a term used to describe an athlete or team’s ability to bounce back. Resilient athletes refuse to give up or back down. Resilient athletes fight on and use adversity as a means to raise their level of play. Resilient athletes are determined to find a way to move closer to their goals. The Mexican National Soccer Team is competing in the 2014 World Cup despite some difficult circumstances. Mexico compiled a 2-3-5 win-lose-draw record in World Cup qualifying last year and barely made it into the biggest international soccer tournament. Mexico failed to score in half of its qualifying games. During that 10 game qualifying span, the Mexico Soccer Federation had a revolving door of personnel including four coaches and about 50 players. Mexico’s coach Miguel Herrera has challenged his team to “make history” raising their expectations at the World Cup. Mexico was resilient in their 1-0 victory over Cameroon in their opening World Cup game. A couple of controversial offside rulings negated two scores by Mexico in the first half but Mexico kept their focus, fought hard and scored about an hour into the game. Mexico’s fighting spirit and positive attitude are a result of Herrera’s belief in his team. Mexico resiliency will be challenged as they seek to beat powerhouse Brazil in their next match. “The game against Brazil will be very different from the one against Cameroon. We’re playing against the favorites. We’ll try to keep the control of the ball and we will not come out for the draw. We’ll be looking for the win,” said Herrera. Develop a never-give-up mentality. You create your history in the present. Keep pushing forward… “Now” could be the time you turn the momentum in your favor. 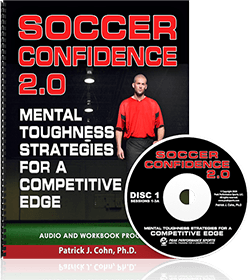 Look at tough circumstances as challenges to rise above… Challenge yourself to find a way to move closer to your goals. Write down 3 specific things you need to accomplish in practice to help you stay focused on solutions instead of problems.